Buying a significant piece of furniture like a sofa is an investment in your home. Get it right and you’ll spend hours of comfortable evenings relaxed on it. Get it wrong and you could be regretting your choice for equally as long! But with so many sofa models to choose from today, how do you narrow your search down to the perfect piece? 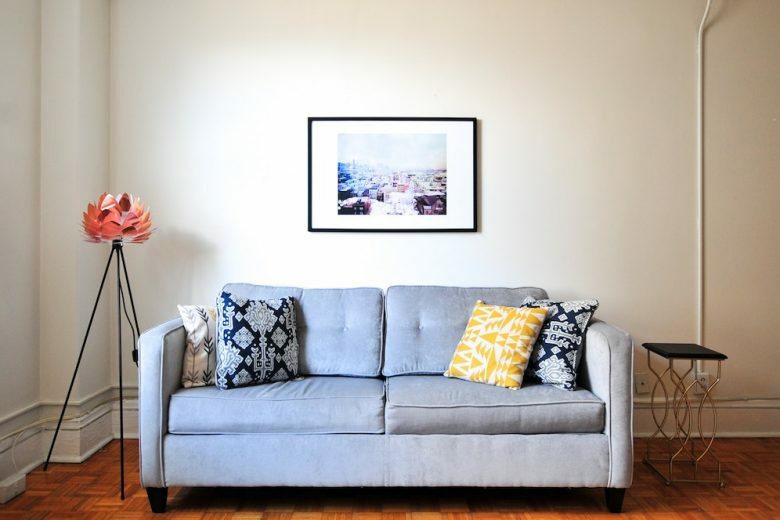 To help you wade through the many different styles, sizes, shapes, colours and textures, here are seven sofa-buying tips from experts. Since your sofa is going to among the significant pieces of your room, keeping the look simple and complementary is ideal. The big upholstered pieces should not have trendy colours or big patterns. Rather, use the trendy colour splash and the pattern punch on your throw pillows. This way, you will be able to have fun with colours and also change them, if needed. Smart utilisation is an important aspect of sofa shopping. You should make careful consideration of the purpose that your furniture will serve in the given space. Know the limits in the relation to available space and all the other elements in your room. The length of a sofa depends highly on its frame. You will find the best of frames to be made of hardwood which is kiln-dried. Its joints should be dowelled, screwed and glued in proper succession in order to provide the perfect robust and stable foundation. Cushion filling can be a game changer. The fibre that is used decides the comfort of the guest. Occasional plumping and turning is required over time for cushions to not collapse. You can go for varying densities of foam innards, which is low maintenance but is durable and provides great comfort and support. China duck feathers are something of a luxury and are really high maintenance. A simple and easy lift test can help you in determining a sofa’s quality. Lift any one leg of the sofa, from the back frame or side frame. The other leg on the same side should lift with it too, if not then there is a case of weak framing. You can do the test to check twists or wobbles too. Rooms with low ceilings suit low sofas; they help to give the room an impression of a much higher ceiling. There is no need to swamp the room. Similarly, when there is a smaller space available, go for a single seating option or corner or sectional sofa with lower arms for space illusion. When you have the choice, opt for practical colours and frames. Use skirts with dark fabric so that heel scuff is not visible. But don’t rush your decision – take your time and invest in the perfect model. Looking for the right sofa? We hope these tips from Urban Ladder, the ‘best furniture store in India‘ will help you choose the perfect model.